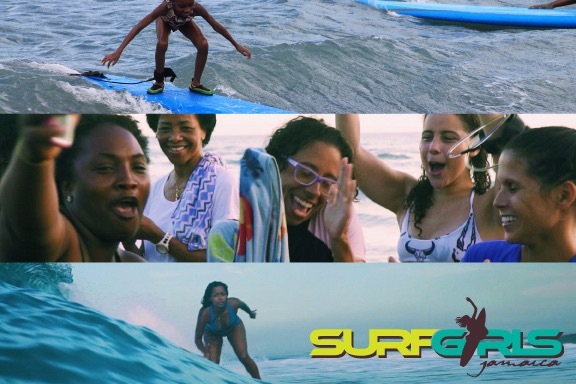 Surf Girls Jamaica (SGJ) is Jamaica's first and only, all-girl surfing club; operated by Imani Wilmot - an award-winning surfer and role model to Afro Caribbean surfers in Jamaica and around the world. Imani has made it her personal mission to empower women of colour to see a place for themselves within the global surf industry. She is using surfing as a tool to positively transform the lives of women and girls. Based at the Jamnesia Surf Club in St. Andrew, Jamaica, SGJ provides a safe and nurturing environment for girls of all ages to learn to surf, advance their surfing skills, and develop a bond with an amazingly talented and supportive community. SGJ provides learn-to-surf classes, surf coaching and personal development opportunities on extremely limited donations and volunteer resources. There are no surf shops in Jamaica, so it is extremely difficult to acquire surf-related necessities. Surf Girls Jamaica has made, and continues to make, a significant impact on young and aspiring female surfers in the Caribbean, and with your help we can continue this mission for years to come.